Are you a retailer, wholeseller or distributor, are you into supply chain, do you want to grow your business to next level. 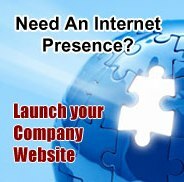 A website is all you need, with a website, you can grow your wholesell business to national and international levels. With a website, you can attract more retailers, importers and bulk buyers. A website can not only help you to generate sales revenue, but can also help you to update your existing retailers and customers with new products you offer. We have been in website business since last 10 years, and we have seen many wholesellers and distributors benefit from website and growing to national and international levels. Kolkata Web Hosting offers Service Provider website design from Rs. 25,000.00 - Rs. 75,000.00, depending on website requirements and complexities.